XL (3" - 3-1/2") -1pc. 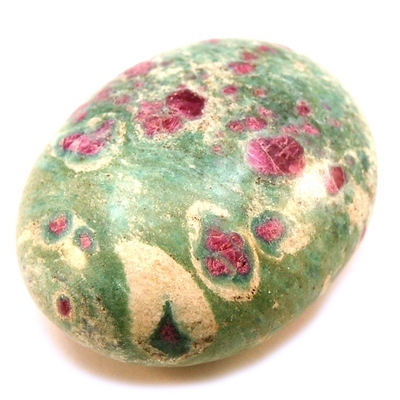 Ruby in Fuchsite Palm Stone - These Ruby in Fuchsite Palm Stones from India are especially nice to hold in your hand for meditation or energy work. 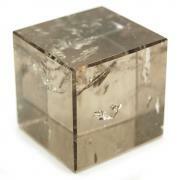 Ruby Fuchsite is a wonderful stone to use in conjunction with other stones in grids or healing/body work. 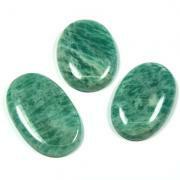 Fuchsite is a mineral of rejuvenation and renewal. The well known saying, "You're as young as you feel" could be attributed to Fuchsite, as it reminds us that no matter what our age, the attitude of youth and vitality is alive within each of us. Fuchsite carries an energy of joy, sweetness, and a renewed connection to our inner child. Ruby is a powerful heart stone, opening and activating the Heart Chakra. A powerful heart healer, Ruby heals and balances emotions, makes you more emotionally aware, and helps you connect to others emotionally. 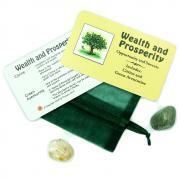 Ruby stimulates a loving and nurturing energy. The intense and vivid energy of Ruby stimulates loving emotions, helps with the expression of love, and can facilitate states of passion and bliss. 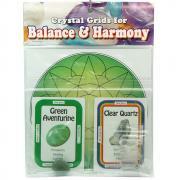 The combination of Ruby and Fuchsite help to deepen compassion, understanding and acceptance. They also work in tandem to clean/clear any mental or emotional blocks, leading to a more balanced and tranquil state of being. Great for any collection, Ruby Fuchsite merges the qualities of Ruby and Fuchsite for the perfect heart stone. Ruby Fuchsite will help to clear any blockage of the Heart Chakra and fill the void with positive, loving energies. Physically, Ruby Fuchsite enhances tissue and cellular regeneration. Ruby Fuchsite helps to improve recuperative abilities, whether it be the common cold or a major surgery. 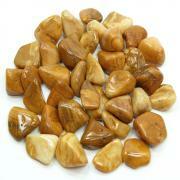 Ruby Fuchsite can also help to enhance the strength of the immune system, which is crucial in the healing process. Ruby Fuchsite combines the best properties of the two minerals. The Fuchsite enhances the energies of the Ruby. 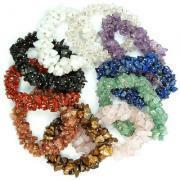 By meditating with these stones, one can take the initiative in healing from emotional, physical, and spiritual issues. This soft and gentle heart stone is a must for any collection. Affirmation: I easily receive loving communication from other dimensions. Question: What is your strongest sense?